This PDF 1.5 document has been generated by Microsoft® PowerPoint® 2010, and has been sent on pdf-archive.com on 21/03/2014 at 17:22, from IP address 50.245.x.x. The current document download page has been viewed 439 times. File size: 1.7 MB (1 page). performance metrics: sensitivity/specificity 93% and an AUC of 0.96.
outperformed single analyte tests (Z-statistic=4.85-6.58, p&lt;0.0001). 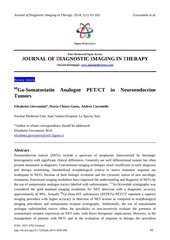 the detection of neuroendocrine tumors. levels did not differentiate the two groups (1C). a prevalence of 35/100,000 . PPV and NPV for the MAAA-NETest were all &gt;90%. predictive value, NPV = negative predictive value. The dotted line (2A) represents 80% (standard cutoff level for biomarkers) . reflects the diverse cells (and sites) of origin. different cells and with numerous biological profiles therefore is self-evident. exhibited correct call rates of 91-97% with sensitivities and specificities of 8598% and 93-97% for the identification of GEP-NENs . 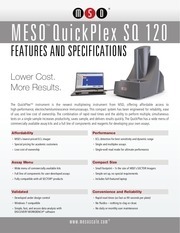 currently used clinical standard CgA assay and could supplant it . diseases e.g., cancer as well as medications including acid inhibitory therapy. study. Written consent was obtained from all study participants. range: 33-75) confirming appropriateness of matching. (Applied Biosystems: cDNA production 2000-2500ng/ul) [1,2]. 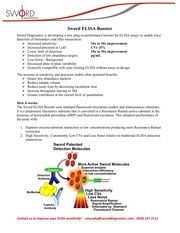 Matching plasma samples (to whole blood) were used for single analyte ELISAs. Inc., Carpinteria, CA) . A cut-off of 14 Units/L (DAKO) was used as the upper limit of normal. 31.25-2000pg/ml with a sensitivity of 7.8pg/ml. 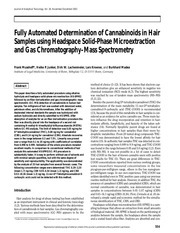 of 0.8-1000pg/ml with a published sensitivity of 0.8pg/ml. bvba, Ostend, Belgium; http://www.medcalc.org; 2013) were utilized. (&gt;90%) for the detection of neuroendocrine tumor disease. Modlin I, Drozdov I, Kidd M: Gut neuroendocrine tumor blood qpcr fingerprint assay: Characteristics and reproducibility. Clinical Chemistry 2014;52:419-429. Kanakis G, Kaltsas G: Biochemical markers for gastroenteropancreatic neuroendocrine tumours. Best Pract Res Clin Gastroenterol 2012;26:791-802. Hanley JA, McNeil BJ: The meaning and use of the area under a receiver operating characteristic (ROC) curve. Radiology 1982;143:29-36. Hanley JA, McNeil BJ: A method of comparing the areas under receiver operating characteristic curves derived from the same cases. Radiology 1983;148:839-843. Biomarkers on a roll. Nat Biotechnol 2010;28:431. AUC = area under the curve, CI = confidence interval, SE = standard error. abnormally elevated CgA or pancreastatin (and are therefore called “NETs”). Neurokinin A is undetectable in the majority of patients or controls. This file has been shared by a user of PDF Archive. Document ID: 00153221.